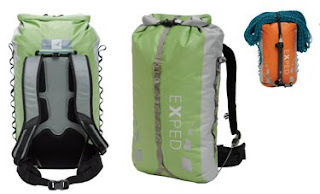 The Exped Drypack WB 30 pack is a great all-weather pack for paddling, bike commuting, hiking, and everyday use. Please note: the buckle on the top strap in the video has been changed from a quick release to what we call a Rapide Hook - see it in the photo above. More durable and easier to use with one hand.